Here are my best tips for making pancakes, plus my go-to recipe for easy buttermilk pancakes! 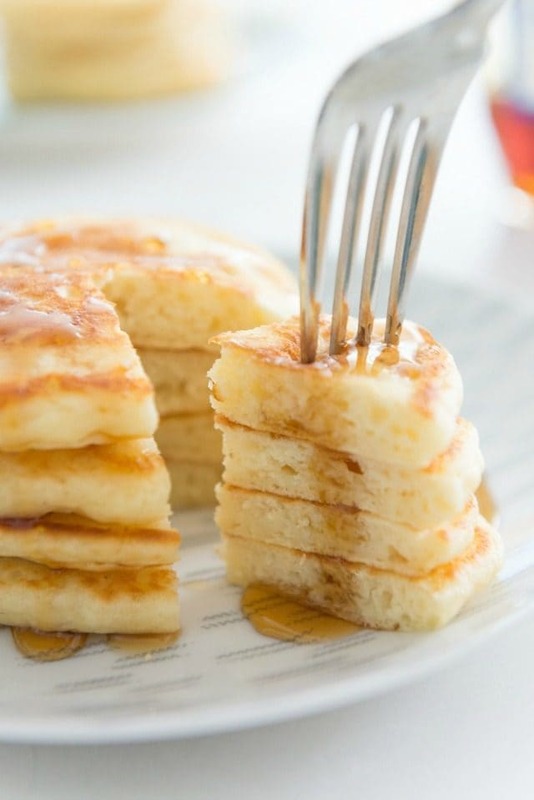 Every time I take a bite of a really good buttermilk pancake, one that is fluffy, light, and perfectly flavored with a little sweetness and vanilla, I feel like I could write a poem about how it comforts my soul. It makes me SO happy! What I’m saying is, if I made a list of the “little things” that make me happy in life, pancakes would definitely be on it. 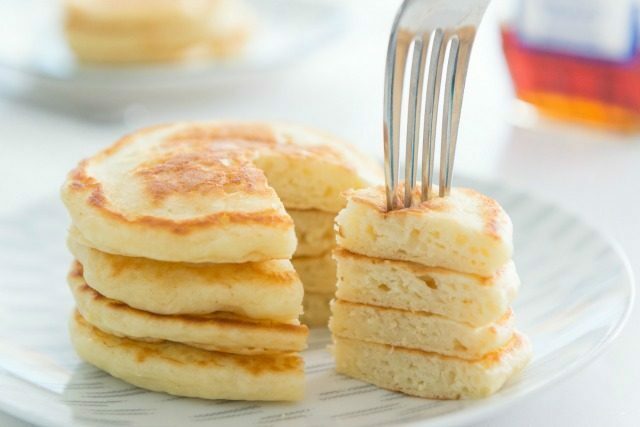 Pancakes come in all sorts of varieties, from classic buttermilk, to healthier 100% whole wheat pancakes, to completely unhealthy concoctions like cinnamon roll pancakes or carrot cake pancakes. This is because pancakes take so well to swapping in different types of milks, flours, fruits, and flavors. All variations aside, here are some general tips that I find are great for making pancakes. #1: Use real buttermilk, not a milk + vinegar substitute. 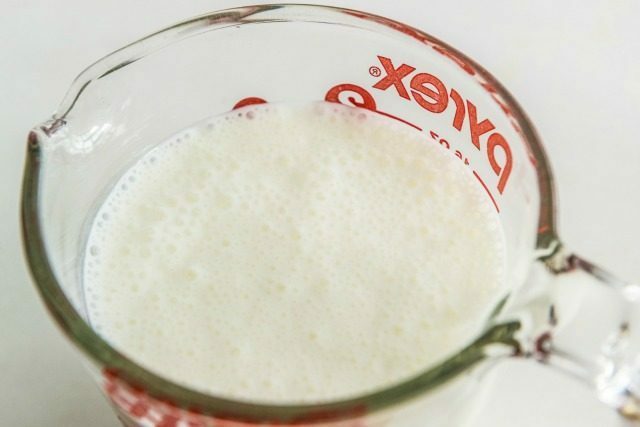 When I see recipes calling for buttermilk on the internet, I often see comments from people saying they made the recipe substituting milk and vinegar for the buttermilk. My stance on this is that you should only use milk + vinegar when you’re in a pinch, need to make something in a spur of the moment situation, and don’t have buttermilk on hand. Milk mixed with vinegar (or lemon juice) is just not the same as purchased buttermilk from the store. It doesn’t have the same flavor or the same consistency, and true buttermilk is the way to go if you want the best pancakes. Many people’s objection to buying buttermilk is difficulty using it all up. I have found that buttermilk oftens comes in a quart size (4 cups), and my recipe for Fluffy Buttermilk Pancakes at the bottom of this post uses 2 cups, which is a substantial use. If you want to use a quart of buttermilk all at once, make a double batch and freeze the leftover pancakes. Pancakes freeze SO well and then you can have pancakes whenever you want! Get the rest of the tips and my favorite pancake recipe on The Pioneer Woman’s Site.